A very interesting read. Thanks for sharing it here. Thanks for linking that one, that is as was said above a very interesting read. The first two comments concerning the font used on "Children of the Stones" is also very interesting. Glad people liked this article. It felt like one of those cases where as soon as someone points out something hitherto unnoticed, it becomes utterly obvious. I'm hoping he'll follow up his examination of the roots graphic design in the occult revival. From his examples, it appears as though designers in the 60s/70s, tasked with creating title treatments with weird associations, telescoped art nouveau with the decadent literature of the same period. 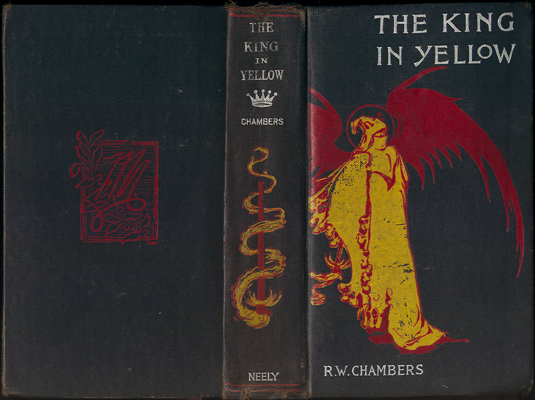 From what I can tell, the contemporary typefaces used in the early editions of Huysmans, Verlaine, Beardsley, etc., were generally unadventurous and conservative (Chambers's The King in Yellow is an exception, for example).